Spies, detectives and serial killers were the inspiration for Dr David Vella of Sydney Exotics + Rabbit Vets in Crows Nest, NSW, when building his escape rooms. “The old abandoned cabin is the ramshackle home of a serial killer. It’s full of strange noises and the detritus of a mad man. If you can unravel the clues held within its dark confines, the identity of the killer will be revealed and you will be released back into the daylight. It was great fun to design and build this real-life escape room. 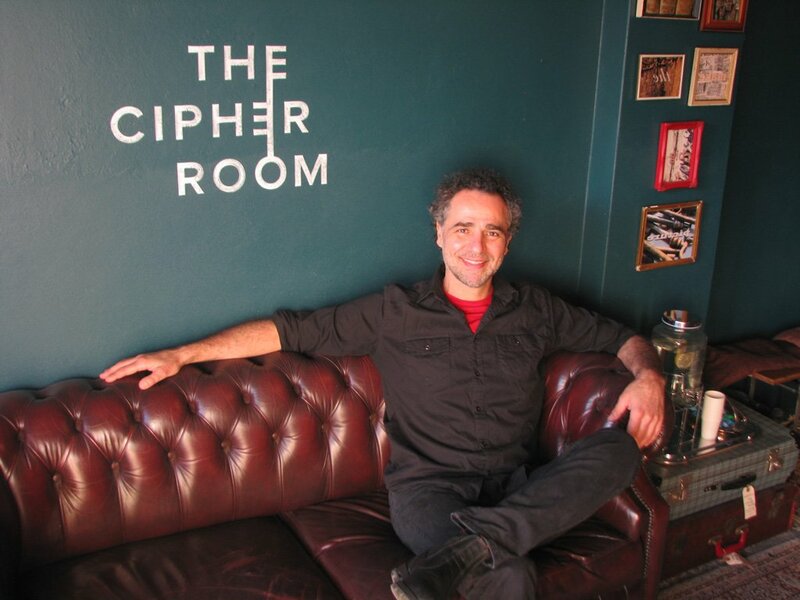 “My wife, Marise Watson, and I started the Cipher Room in August last year. It has a street frontage on King Street in the Sydney suburb of Newtown and offers two games at present, The Cabin and Espionage. A third game, The Marlowe Hotel, will open this year. The games are designed for two to eight people who are locked in a room and must find clues, solve puzzles and work together to unravel a mystery. They have 60 minutes to complete the room. “Escape rooms are popular all around the world and the first time that Marise and I played one was a fantastic experience. She has always been a bit of a geek and the concept was right up her alley. We have two young boys and she sprung the idea of opening our own escape room on me. She saw it as a way to get back into the workforce and utilise her skills and background in design. I was on board immediately. “We put together a business model and were fortunate to find a vacant shop close to home. We worked together to design the games and build as much as possible. Regulations required that we use an architect and a builder for some elements but we did the majority of the work ourselves. “We then used friends and family to beta test the games and make any adjustments that were necessary. We put a lot of time and effort into making the games a very immersive experience. The Cabin is the home of a serial killer; Espionage is a Second World War spy experience, and the soon to be opened Marlowe Hotel has a film noir/private investigator feel. Visit the Cipher Room website at www.cipherroom.com.au.